Heartland Torque gives you luxury and adventure! Heartland Torque has a dual purpose garage. The exterior looks almost as luxurious as the interior! 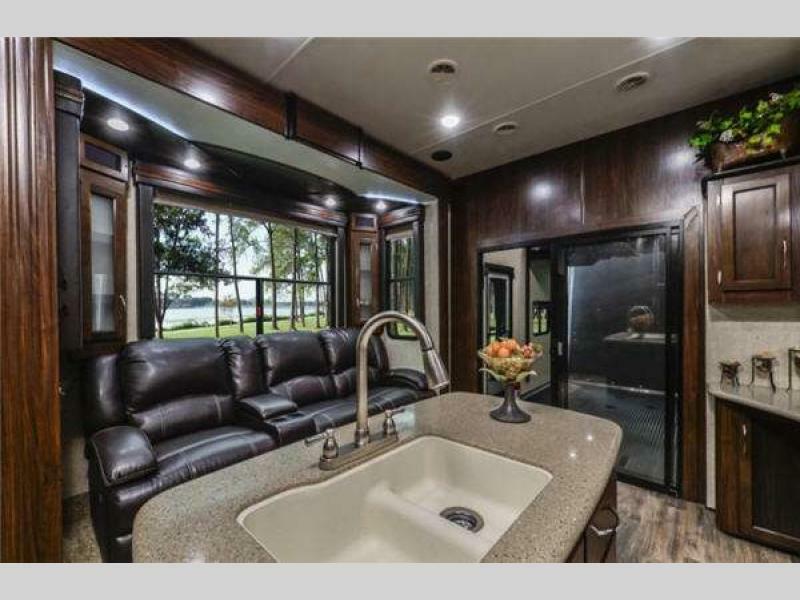 All of these toy haulers feature a large dinette or sofa slide out for comfortable dining or just relaxing with the family after a long day of adventuring outside. 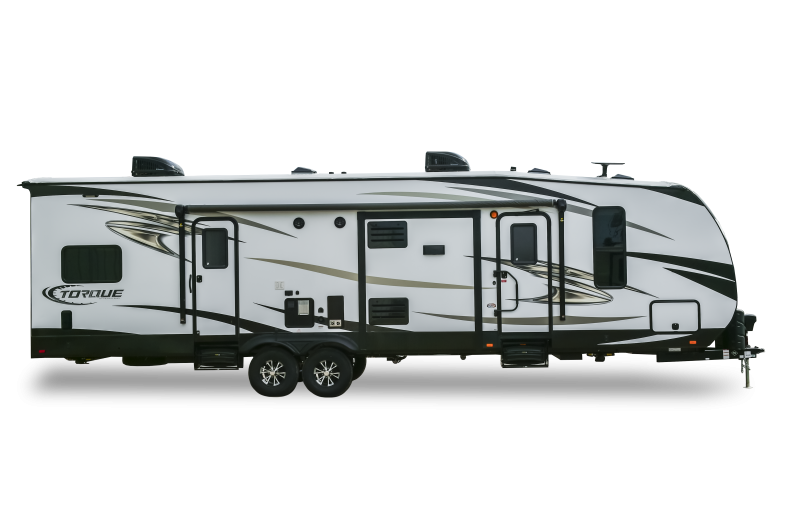 These toy haulers are beautiful inside and out, and they give you the option of great Heartland Torque Toy Hauler floorplans that provide you with space that’s the perfect amount of closeness without the feeling of being cramped. 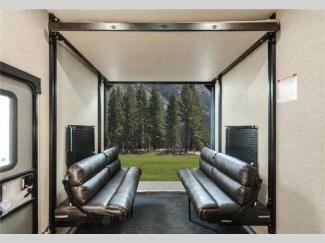 Each multi-purpose garage gives you a spacious area for your toys (off-roading adventures, here you come! ), a nice couch to hang out on, and a comfortable bed to sleep on. The perfect combination! 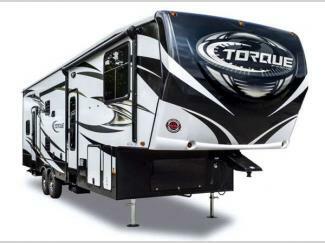 The Heartland Torque Toy Hauler was designed with adventurers in mind, and was built to accommodate both the space for your toys, and the luxury of relaxing indoors when you decide to stay in for the night. This way, you get the best of both worlds! Please contact us if you have any questions about our toy haulers, and we’ll give you a call or email back as soon as possible. You matter to us most!